Several years ago I completely switch to Apple starting with an iPod and culminating, some months later, with an iMac, a 13″ MacBook and, finally, with a QuadCore i7 MacBook Pro. Still very happy with may MBP, and things got better and better with each OSX release. Now, with Mountain Lion cannot be more satisfied. I am not a brand addict and I have no affiliation with Apple whatsoever, but they managed to create a culture of trust for a line of products that work and can be used as for their scope: reliable tools. Moreover, Microsoft did some blunders on their OS line that culminated with that Vista failure. I remember I had to use Vista for a brief period of time at the office and each day I pressed the power on button I regretted. A nightmare. Windows 7 was a pleasant surprised, seems to be more polished and a clear evolution from previous failed attempts. Soon, for my little DIY projects I felt the need to use a PC. Many software packages for embedded programming are available only on PC, examples most frequently built around PC, major instrumentation vendors scarcely support Macs etc. Yesterday I bought a Toshiba satellite, given very good past experience with Toshiba products, and I have to say this laptop is a winner. 500 GB HDD, Core i5 @ 2.5 Ghz, 3 MB Cache, USB 3.0 ports, HDMI output, GigaEthernet and a 2 GB Radeon 7670 GPU → excellent package for 600 euros. So, I have already installed AVR Studio 6 and starting first programming tests. More to come. I have more than a year using this and still very satisfied. Updated the RAM to 16 GB, works like charm. I am using it mainly for my electronics projects and still have no major complaints on this cheap, entry-level laptop. Excellent. Six years after the date of purchase — still extremely satistfied with it. Absolutely no issues. Updated the HDD to SSD. Works like charm. 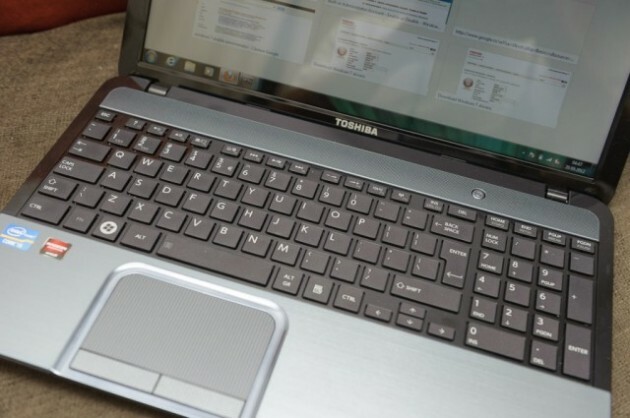 Filed in Blog, Most commented and tagged PC, Toshiba, Windows. Bookmark the permalink. Where did you learn English? Wish I could speak well as you do and I live in the US. Get in touch, we may have something to talk about. You have my e-mail. The mic is quite cool, at least for me. And with a very good price tag.